The Hardy Plant Society of Oregon is a wonderful group of like-minded gardeners who care about growing things. 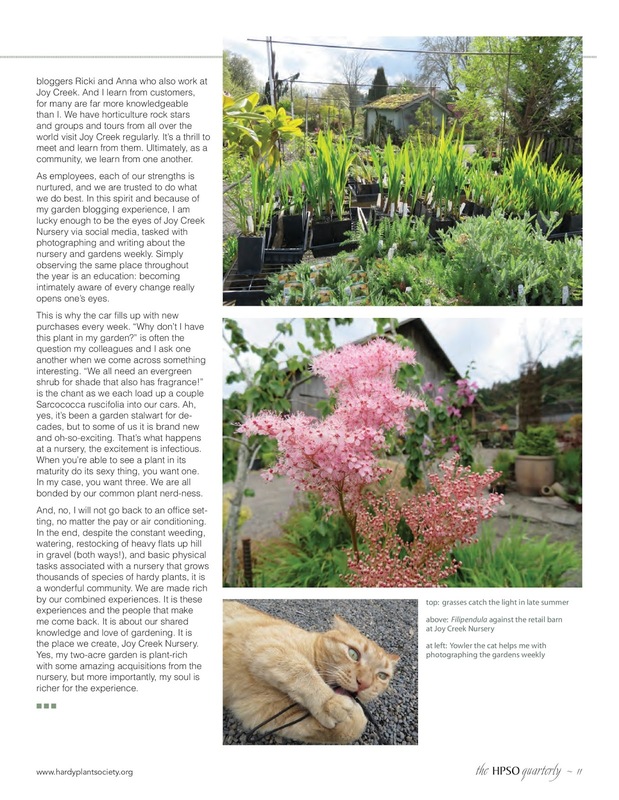 They publish a quarterly newsletter and recently some of my fellow garden bloggers and I have been contributing content to the magazine. Here is copy of one that I wrote for the spring edition of HPSO's quarterly newsletter. Haha - your sentence about fluffing plants in a cute little sun hat made me laugh out loud! :D I guess, theoretically, it COULD be that, on a balmy, slow spring day (is there such a thing?) but naah... We do it for the plants, and for our fellow plant lovers. My favorite part is that I never, ever know everything. It's a job that keeps me humble, and I learn something new almost every day. I love that!